With deliberate steps I wended and wove my way through the dark, over Russian Hill, in search of answers to the long-unsolved mysteries that had been remembered by an old friend and by the angel who came and went from this hilltop. Even on a night so clear that you can see all the way to Mt. Diablo, secrets remain under cover of age. I crossed the paths of Joan Crawford and Jack Kerouac through other Mystoric Landmarks. At the Tamalpais Blgd. I imagined what he saw from there, what she saw from here, and what Joan ever saw in Alfred Steel, the other Alfred. 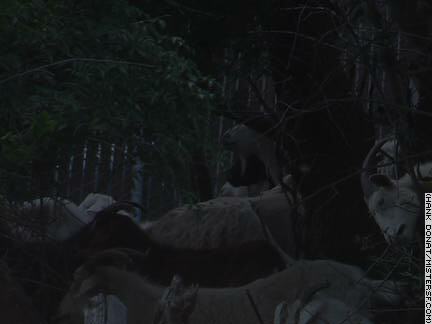 Later still, I decided to march down Rock Hudson's stairs at Larkin and Francisco when I saw - or so I thought - a silent herd of goats resting in the gully. I've come to expect the unexpected in our City of cities, but this time the horns suggested it could be only a vision. A daytime visit would be required.